One of our projects: Krakow, Poland 2013, Concrete floor tiles, concrete fireplace. Diagonal table, Fossil lamp, concrete floor tiles, Stone spring, oriental bas-relief. Concrete is one of the most common building materials, but not everyone can take advantage of its artistic potential. The plasticity of concrete, its ease of shaping, as well as its durability and high resistance make for its use on a large scale in the construction industry as a construction material. Although we appreciate the technical properties of concrete, it is for us primarily a noble malleable material with remarkable beauty and timeless elegance. Using concrete, we try to find new innovative applications to create fresh and surprising designs that bring a feeling of elegance and style to living spaces. For us, it is primarily a creative challenge in forming modern interior elements, such as modular flooring, furniture, worktops, sinks and also universal home accessories such as lamps, candleholders and decorative details. Concrete works well both in innovative interiors of extravagant character, as well as in more traditional arrangements. Concrete can be rough and raw or smooth and silky depending on the method of formation and the finishing techniques. It is limited only by the imagination. 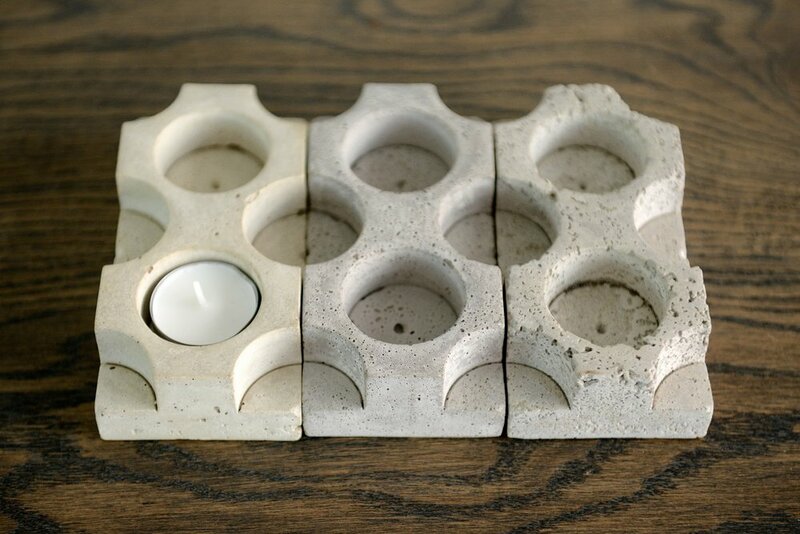 You can do almost anything with concrete, which fascinates us and also inspires us to continuously create new objects.